I’ve written a decent amount of books, but here are the three I’d recommend most. There is a discipleship crisis in the Western church. Many Christians may come to a worship service, join a small group or even tithe, but few have the kind of transformed lives we read about in Scripture. If we made disciples like Jesus made them, we wouldn’t have a problem finding leaders or seeing new people come to faith. Building a Discipling Culture is the product of 25+ years of hands-on discipleship practice — developed in a post-Christian context, tackling how to make the types of missional disciples Jesus spoke of. the most discussed tools of the past 20 years. 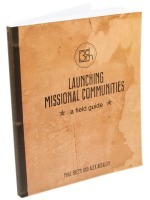 This is a book about where they came from, how they developed and how your community can begin launching and multiplying them to see those who don’t know Jesus begin the journey of discipleship. It is a practical, insider’s look, giving you the tools to make MCs come alive in your church. Heard some great things about these books. Looking forward to reading them. Hi Mike – greetings from Australia. I have been trying to get a copy of your book “Building a Discipling Culture” – the actual book, as I don’t have access to Kindle. I seems to be unavailable in Australia, with the only copies available online coming at $77.18 for a used one – but they don’t deliver overseas. Do you have another book seller I could contact? Grace and Peace – Sae. I’ve got the same question as TheRev. I would really like for some of my friends to read “Building a Discipling Culture” but they don’t have Kindles and that is the only version of your book that I can find. 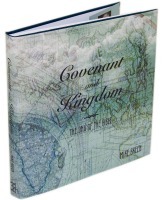 Will Zondervan be releasing a 2nd edition of your book in paperback any time soon? Thanks so much! We hope to have it available in the next 4 weeks and ready at the beginning of November. The print run on hard copies is happening as we speak. Excellent – Thanks Mike – greatly appreciate your quick response. I’ll look for it next month. Grace and Peace. You can also buy them on Amazon or get them as ebooks for ibooks, kindle or nook. Hi Mike, just wanted to find out if the print copies are available for sale yet? A previous comment you made suggested it would be available in early November. Let me know where/when I can find it. Thanks! Gerald, the books are in and can be purchased at both Amazon.com and our website: http://www.weare3dm.com in the store. MIke, any idea when more copies of “Building a Discipling Culture” will be in print? Would love to pass this book on to family and friends! We are getting ready to do another print run. Our apologies. It keeps flying off the shelf! I would be interested in a Huddle in Florida.My wife and I are leaving for Florida and wonder are there any Huddles around the Orlando area? I have read your last to books and know you are on the right track. We met in Chicago last fall am thinking of start a Huddle with 7 new church start pastors in Florida. However, I need to be in a group before I do. Could you help me out? Can I send you an email privately, got a few church planting questions to ask you. And do you know Roger Simpson, my frieind from Old Reekie?